A healthy combo of superfoods and seafood in a dish that is mouth-wateringly delicious. Combine prawns, half the olive oil, chilli, ginger, lime zest and half the coriander in a large bowl. Season with salt and pepper. Thread prawns onto presoaked skewers and transfer to a large plate, cover with plastic wrap and place in the fridge for 30 minutes to marinate. Meanwhile, in a medium bowl, toss together beans, tomatoes, remaining olive oil and lime juice. Season with salt and pepper. Heat the barbecue. Then cook the skewers, turning for 3-4 minutes or until the prawns change colour and are lightly charred. 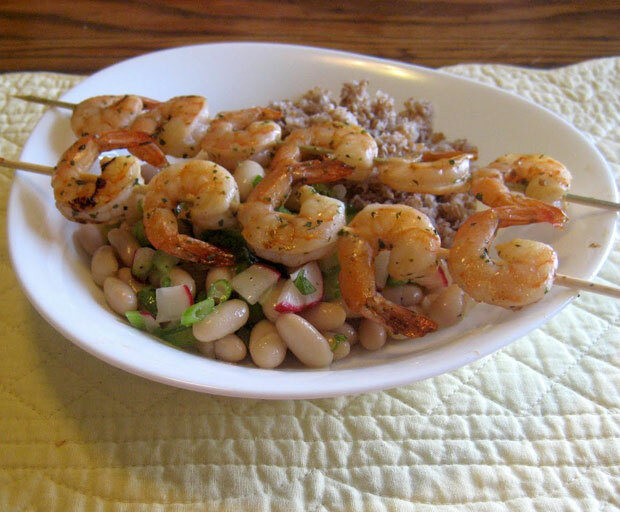 Serve with bean salad and garnish with remaining coriander. 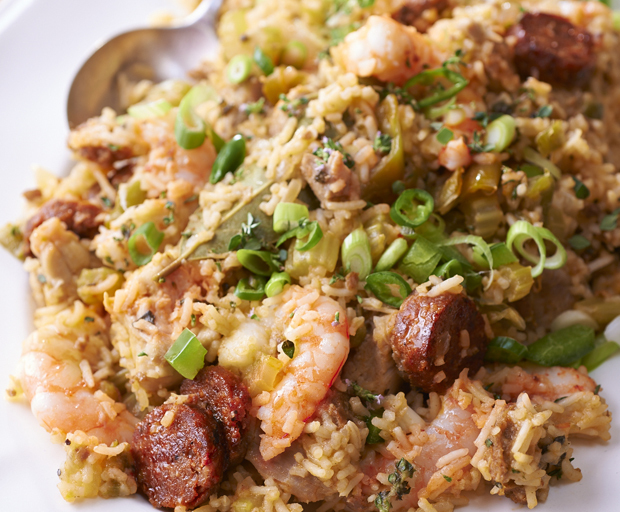 Prawn jambalaya can take hours to make, but Fairy ambassador and celebrity chef Ben O’Donoghue shows us how to turn this delicious rice dish into one of your new go-to easy dinner ideas. Think of it as cheat’s paella! With just a few ingredients you’ll have an aromatic pot of surf and turf rice on the table in 30 minutes. 1. Fry the chorizo and chicken in a heavy bottomed saucepan. 2. Remove and cook the prawn heads in the oil from the chorizo, squashing them with a spoon. Then remove the prawn heads after a few minutes. 3. Add the vegetables and the garlic to the pot and sauté until soft. 4. Add the tomato puree and the bay leaf and cook for a minute. Then add the rice, the chorizo and chicken thigh meat back to the pan along with the stock. Season with the cayenne pepper and cook, covered, over a low heat for about 10-15 minutes. 5. Just before the rice is cooked add the peeled prawns and thyme. Cover and cook for another minute. 6. 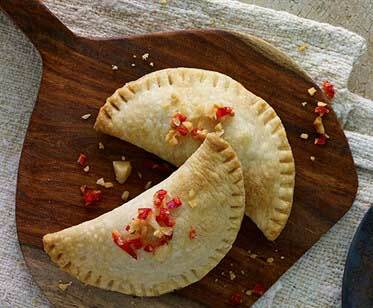 Serve with chopped spring onions and green chillies. Can’t wait to make these! Reigning Celebrity MasterChef and swimming sensation Eamon Sullivan rolls prawns in a crunchy macadamia nut crust and serves them with home-made aioli. Doesn’t it just scream summer? 1. 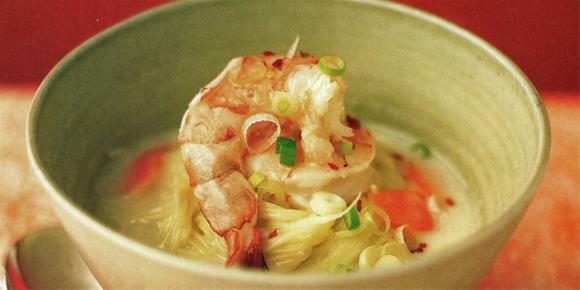 For the prawns, combine flour, salt, pepper and cayenne pepper in a bowl. 2. Crack eggs into a separate bowl and lightly whisk with a fork. 3. Blitz the macadamias in a blender and combine with the panko breadcrumbs. 4. To crumb the prawns, dust in the spiced flour, dip in the egg yolk then roll in the macadamia and breadcrumb mix. 5. Heat oil to approximately 180°C. To test, drop a piece of bread into the oil – it should go golden brown in about 10 seconds. Once the oil has reached the required temperature, drop about 10 prawns in and cook until they are golden brown. Remove and drain on paper towel. Repeat with remaining prawns. 7. 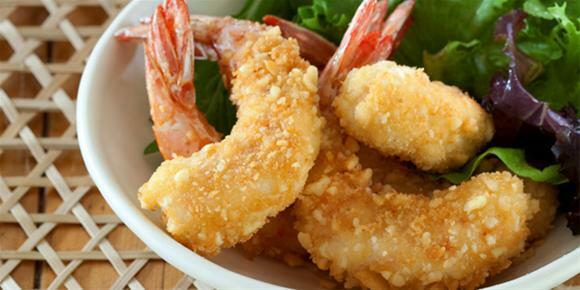 Serve the macadamia crusted prawns with the aioli as a dipping sauce and a green salad on the side. 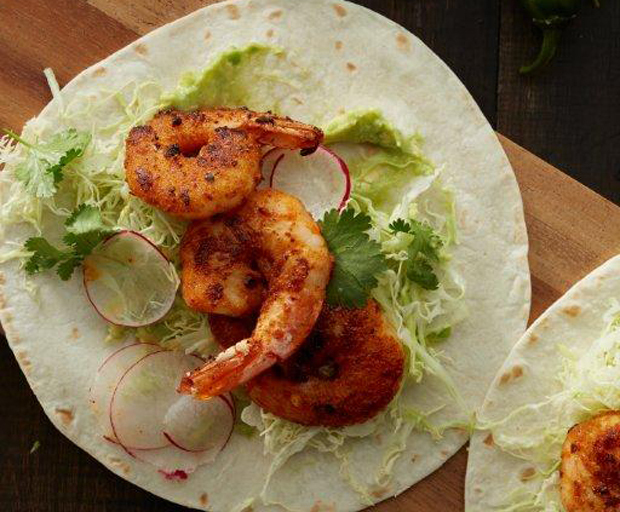 What’s your favourite prawn recipe?